The golf club stands on the site where, in the 16th century, Pope Leo X - in the world Giovanni De' Medici, had his private hunting ground. 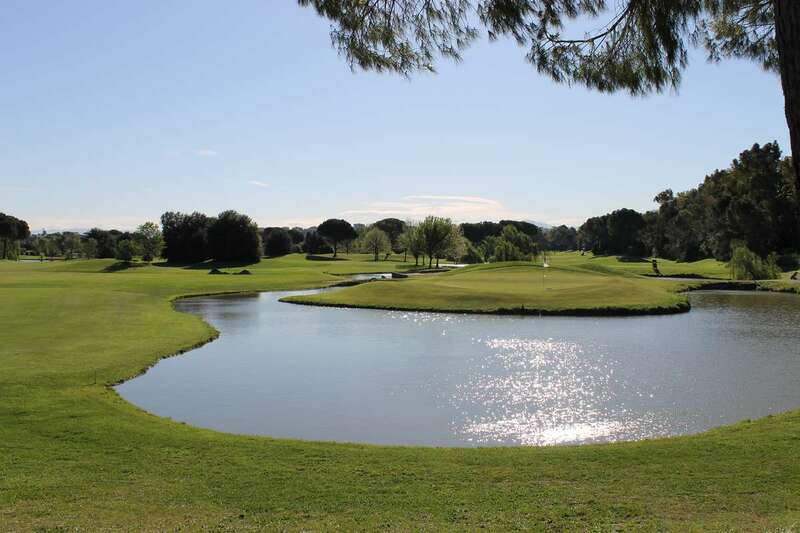 The course, designed by Davide Mezzacane and Peter Fazio, is a very technical course, rich in small mounts, bunkers, water barriers composed of ditches and six lakes, the habitat of seagulls and herons. Along the fairway of the 18th hole, in a circumscribed area we can see the remains of a Roman house of the first century A.D. At disposal of club members and guests there are large comfortable lounges, the lemon conservatory, a games room a TV room, swimming pool, two lawn tennis courts and an equipment room. 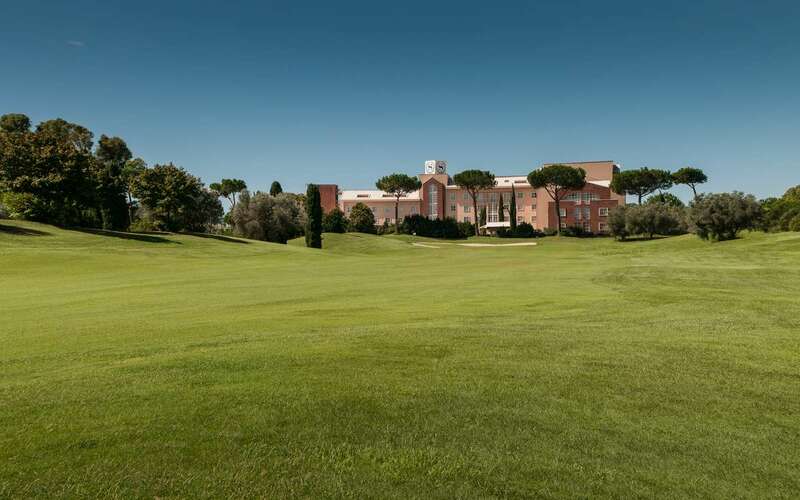 The Golf Club Parco De' Medici also extends its hospitality to those who are simply admirers of this sport and who feel that the peaceful atmosphere of a country club, just a few minutes from the town, may be used for business lunches or for a few hours' relaxation. Children under 12 are not allowed in the club house or on the course. The 18-hole course has been supplemented by a 9-holer (par 34) and was partly laid out over a former hunting estate belonging to Pope Leon X in the 15th century. For easy access, the course is within the immediate vicinity of downtown Rome and the airport. The terrain is very flat but the monotony is broken by contouring and the very many stretches of water that are home to a good many birds and a resting place for even more balls if you don't hit it straight. Rather long from the back-tees and very exposed to the wind, the layout is much easier when you are humble enough to move further forward, but somehow it doesn't leave a lasting impression. 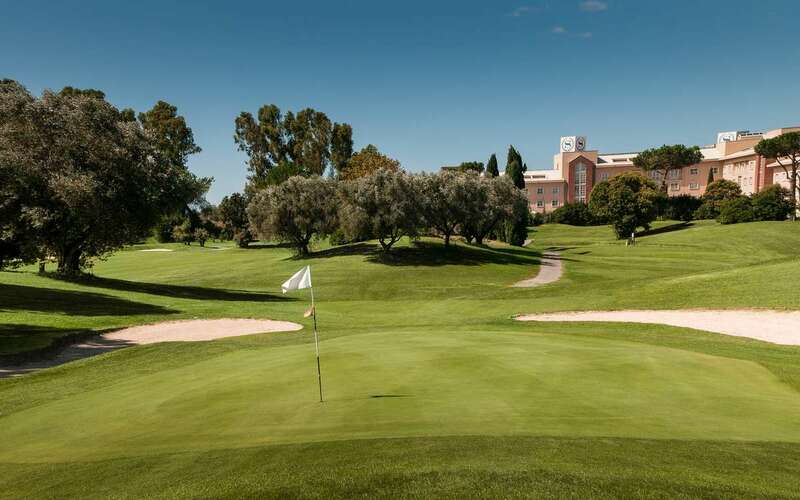 Designed by David Mezzacane and Peter Fazio, Parco de' Medici clearly portrays the highly strategic modern style of course architecture with large, well-guarded greens and a preference for target golf. A huge clubhouse, grand hotel, a pool and two grass tennis courts complete the very high standard facilities here.